One of the oldest uses for smartphones was using the microphone to tune your guitar. Granted, it wasn’t all that great but it did work in a pinch. These days, guitar tuner apps are far better than they once were as are phone microphones. That has made the task much better. As any stringed instrument player can tell you, it’s always good to have a tuner on you. Here are the best guitar tuner apps for Android. Here are some more music related lists you might find useful! BOSS Tuner is one of the more versatile guitar tuner apps. It supports the usual array of instruments, including guitar, bass, ukulele, and others. The app also works for other instruments like violin, cello, and even some brass instruments. It features a decent, simple interface, multiple tunings, and audible reference pitches. There is also news about BOSS products if you care about that stuff. The app is completely free with no in-app purchases. CHromatic Guitar Tuner is among the most popular guitar tuner apps. It’s a simple tuner with a decent interface and good functionality. The app supports guitar, bass, banjo, ukulele, violin, and many others. It also includes a digital tuning fork for those who prefer having one. This app does contain advertisements and no way to get rid of them. That’s a bit of a bummer. However, it otherwise works pretty well. Cifra Club Tuner is better than it seems. The app supports the main stringed instruments like guitar, bass, and even some weird stuff like the cavaquinho (similar to the ukulele). On top of that, it will tell you to loosen or tighten your strings to get the best tuning. That makes it excellent for beginners. Some other features include a sleek, simple interface, smartwatch support, and more. It’s free to download with in-app purchases that go up to $9.99. The free version also has ads, for what it’s worth. DaTuner keeps things simple. However, it can go the full nine yards if needed. The app has some good features like auto-sensitivity settings, simple visuals, and more. However, it can also tune from A0 all the way up and the pro version has some super specific tuning capabilities. It also supports guitar, bass, ukulele, violin, cello, mandolin, piano, harp, and others. The free version comes with some basic features and advertising. The $1.99 full version gives you the whole experience. Fender Guitar Tuner is one of the basic guitar tuner apps. It does what it sets out to do rather well. It also supports guitar and bass. The app boasts 22 different tunings, an auto-tune mode, and separate tuners for acoustic and electric guitar. There is also a Chromatic mode for freestyle tuning if you prefer that. Otherwise, it’s just a basic app with basic tuning tools for guitar players. It’s also free with no in-app purchases or advertisements. Take a break with some more excellent app lists with some very good apps! gStrings was one of the first really good guitar tuner apps. It is still really good today. It features a dial-style tuner along with a bunch of customization options. That includes themes, microphone sensitivity settings, and others. It supports almost any stringed instrument you can think of and some non-stringed instruments like piano. It’s simple, it’s good, and it’s relatively inexpensive. The pro version goes for $3.99. There is a free version you can try out as well. GuitarTuna is a fun little play on words. However, it’s also one of the most popular guitar tuner apps. It works with a variety of instruments including some unusual ones like the balalaika. The app also boasts auto-tune, advanced tuning options, and some customization options. Additionally, the app has a basic set of chords and exercises for beginners. It’s a great app for beginners and intermediates especially. The actual tuning portion is should be good enough for all but the pickiest guitar players. Pano Tuner is a very simple guitar tuner app. It features a nice design and an old school style dial-tuner. This one picks form over function. It looks delightful, but there isn’t a whole ton of features. The app does include microphone sensitivity settings, frequency adjustments, and support for non-standard tunings. It also covers most popular stringed instruments, including guitar. The free version contains advertising. The relatively inexpensive pro version does not. Pro Guitar Tuner is another popular guitar tuner app. This one also has a website. That means you can tune on your computer as well. It’s a chromatic tuner. Thus, it supports most stringed instruments and several non-stringed instruments. It also boasts above average accuracy, The interface looks nice. The app is also fairly simple to use. The free version contains advertising while the pro version does not. Additionally, the free version only allows standard tuning. That should be good enough to test the app to see if you want the pro version. 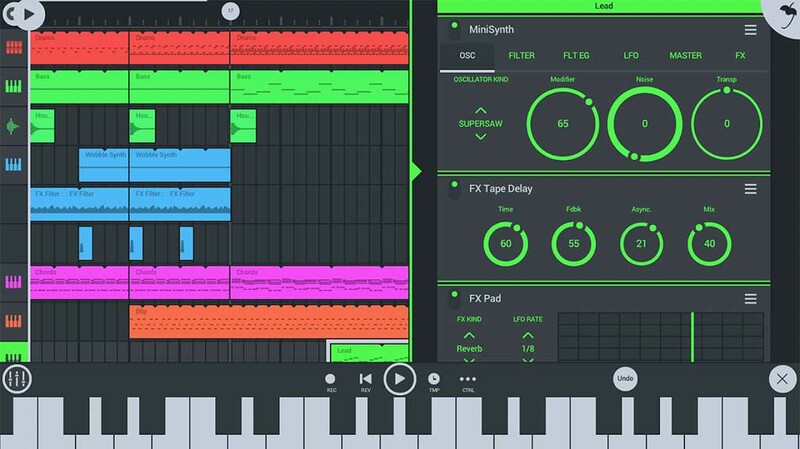 Smart Chords and Tools is a decent all-in-one app. It boasts tuning support for a bunch of different instruments, including guitar, bass, banjo, ukulele, and others. Additionally, the app contains a bunch of chord, arpeggio, scale, and fretboard charts. There is even a metronome with up to 300 BPM for practicing. This makes it a great choice for beginner and intermediate guitar players. It tunes your guitar and also teaches you things. This one offers a bunch of add-ons as in-app purchases. Additionally, there is a $3.83 per year subscription with a lot more features. We’re usually weary of subscriptions, but $3.83 per year is extremely reasonable. If we missed any of the best guitar tuner apps for Android, tell us about them in the comments! You can also click here to check out our latest Android app and game lists! hardware – Has anybody test automated Verifone Terminals?